What is the mood in Washington regarding the Opportunity Zones policy? 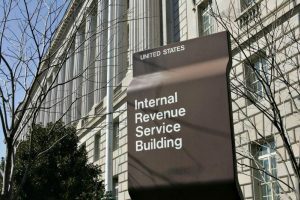 And what should we expect from the second tranche of IRS regulations on Qualified Opportunity Funds? 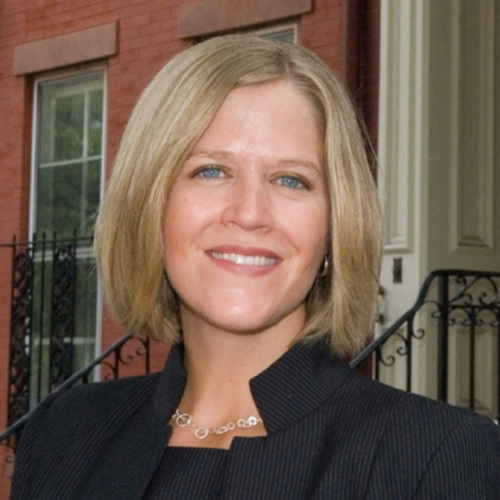 Jill Homan is founder and president of Javelin 19 Investments, a Washington DC-based commercial real estate investor, developer, and Opportunity Zones advisor. She testified at the IRS hearing on Qualified Opportunity Funds in Washington earlier this year. Click the play button below to listen to my conversation with Jill. The mood in Washington DC regarding the Opportunity Zones policy, and how politicians on both sides of the aisle are touting the program. Why some level of data reporting is important, and when we might see regulations around that. How the substantial improvement test should help prevent resident displacement. Jill’s primary concerns about the first tranche of regulations. How the OZ program is not intended to be solely urban development, and why the White House Opportunity and Revitalization Council was formed. The topics that Jill thinks will be covered by the second tranche of regulation, including the definition of an active trade or business, issue of the 50% gross income test, interim gains, unimproved land, and carried interest. What the Opportunity Zones policy has done to open up community development to a different class of investors. Biggest misconceptions of the program: 1) that the data being used was 2010 data, when in reality data was used from the 2011-2015 American Community Survey; 2) deals are not being done and investors are waiting on the sidelines, when in fact deals are getting done. How Jill is advising family offices in the early days of Opportunity Zones investing. Founded by Jill Homan in 2011, Javelin 19 Investments is a commercial real estate investment and development firm. Since January 2018, the firm has focused full-time on Opportunity Zones and also advises family offices. Javelin 19 is currently working on a single-asset student housing project in an opportunity zone in Baltimore. Jimmy: Welcome to the “Opportunity Zones Podcast.” I’m your host, Jimmy Atkinson. And today I’m onsite at The Coasis Coalition Opportunity Zones SuperConference in Dallas. And in person with me is Jill Homan, President of Washington, D.C. based, real estate development, investment, and advisory firm, Javelin 19. Jill, thanks for joining me and welcome to the podcast. Jill: Thanks Jimmy for having me, and good to see you. Jimmy: Yeah. It’s nice to meet you in person. I know we’ve been emailing back and forth for the past few days. So, it’s good to be here with you. And so to start, just tell me a little bit about Javelin 19. When did you start it and what services do you provide to investors? Jill: So, Javelin 19, we founded it about eight years ago, focused on real estate development and investments, and back in January of 2018 once the Opportunity Zones provisions were included in the legislation, we really thought that’s going to be very instrumental in terms of positively impacting communities, but also providing investors with really exciting tax incentive for them to invest in. So we decided to focus full time on Opportunity Zones. So we’ve been focused full time on Opportunity Zones since January of 2018. And what that means is we have real estate projects that we’re doing ourselves. So we’re co-developing a purpose built student housing project in Baltimore and we’re also working with primarily with single family offices on helping them allocate capital using this incentive. So it’s very exciting and we’re really pleased to be part of this new community. Jimmy: Good. So, you mentioned family offices. Do you have a lot of high net worth investors as well or is it primarily family offices that you’re dealing with? Jill: It’s primarily family offices and I expect with the next set of regulations, should they allow for these multi-asset funds to really be able to operate more efficiently, I expect there to be more efficient ways to raise capital which will help the traditional high net worth investor be able to use this incentive. Jimmy: Good. Well, I want to ask you more about those regulations in a few minutes here. But first, if we could back up just a minute, and could you tell me a little bit more about your personal background and how you came to start Javelin 19 and where you…basically, give me a sense of how your career led you to where you are today. Jill: Sure. And so, I say I’ve been in real estate 15 years, but I’ve been politically active for 20 years. And so my previous work experience included working on Capitol Hill for then Congressman Bob Ehrlich prior to him becoming governor of Maryland. So I was a legislative assistant for him and press secretary and went to Grad school where I did a master’s of public policy and an MBA at Duke University. I’m very disappointed with the recent loss. Jimmy: I’m sorry about that. Jill: So, and I look squarely at issues of gentrification and development and heavily spent a lot of time focused on finance and real estate. So my master’s project there at Duke was looking at what the impact of small to medium revitalization projects are on the residents. So looked at when you have a project that goes into a neighborhood that hasn’t otherwise had investment, how does that impact the surrounding neighborhoods? And does it displace the residents or does it actually attract follow on capital and provide great public benefits with reducing crime, reducing poverty? And what I found just on a side note is as with many things, the results are mixed and it depends on…and part on how engaged the private sector and public sector are working together. So following work in politics and policy, then that led to really working in the private sector in real estate because I was very passionate about changing communities but also wanted to participate more on the private sector side to actually do an act. And so I saw that working with a real estate developer, so worked with a D.C. based developer and then was able to raise some capital and go out on their own with Javelin 19. And so, just to kind of round trip it, so what’s most exciting about Opportunity Zones for me personally is that it’s finally the opportunity to really bring in the policy, the politics in the real estate and business experience. And then you add in the impact component, which is really why I got into real estate to begin with. Jimmy: It almost sounds like the Opportunity Zones program was ideally suited for your experience. Jill: Yeah. And it’s just something I’m very passionate about. And my family just wishes I’d quit talking about it so much, so. Jimmy: I get the same thing from my family sometimes too with the Opportunity Zones all the time in my house. So you’re here at The Coasis Coalition Opportunity Zones SuperConference this week, and you’re representing Javelin 19, and you’re on a speaking panel here, I know. But you’re also here to introduce the conference’s keynote speaker Dan Kowalski. He is the counselor to Treasury Secretary Steven Mnuchin. And you mentioned earlier just a minute ago that you have experience working on Capitol Hill. So tell me as you’re somebody inside the beltway with relationships with some of these regulators, what’s the mood in Washington, regarding Opportunity Zones? What are you hearing? Jill: Yeah. And so, I’d first like to say, what’s really interesting with this tax incentive is that it’s well received from both sides of the aisle. And so, I’m…you know, my background is in Republican politics, my sister’s a Democrat, we still get along and love each other. In fact, she helps me on certain things with work, so she’s terrific. But, and so I think that’s important to note. And so it’s…and you can see that in really two ways. Number one is the first aspect of this incentive was the governors designated the zones. And so whether you’re Republican or Democratic governor, you had the opportunity to pick the areas in which you set up the environment to attract capital to these areas. So that’s first of all, I think an interesting point. And then secondly, what you see are a number of governors and also mayors that are really touting this incentive. By way of example, in Washington, D.C., the mayor Muriel Bowser used Opportunity Zones as one of the main points that she made in her annual state of the district speech. And she referred to it as an incentive and talked about the Democratic senators who helped advance this incentive. And you see the same thing on the Republican side. And so I think it’s rare that there is a policy, and not to mention a legislation that has the ability to be well received. And I think that’s when you get into the implementation. And so when I speak with investors, it doesn’t matter whether they support candidates on the right side or the left side of the aisle. What I’ve found is they overwhelmingly are excited about allocating capital using this incentive. So I think the mood as it relates to Opportunity Zones is really one of a lot of excitement. And then there’s also a significant interest in understanding what’s happening on the ground. So how are deals being done and what is then the impact. And I think that’s where you have the data piece that’s ultimately going to come in. How can we have some sort of data component being included in the regulations without burdening the funds to the degree that this really only works for the very, very large funds? Because really the policymakers need the data in order to understand how or how this is working and what improvements they can make. So I think that’s going to be a really interesting component down the road. Jimmy: Yeah, it’s interesting you brought that up. The data component, I’ve talked with a few guests on my podcast recently in the last few weeks about that very topic, how the data component was originally in the Investing and Opportunity Act but was stripped out of the final version of the bill. We had some speakers at the IRS hearing in February request some sort of data component to be included. Like the IRS should be tracking this or the funds themselves should be tracking it. What’s your take on that and do you think that some sort of level of transactional data or reporting requirement will eventually become part of the regulations? Jill: So, first of all, the reporting requirement was taken out in part because of how this legislation was passed. And so, there were some procedural reasons why it was taken out. But secondly, I think some level of data is important, because you just need to understand how this policy or whether this policy is working. And so what I expect is a third round of regulations to come out maybe towards the end of the year that will include a data component. But what the specific data, what actually is required, I don’t know. But some of the data that is already readily available. And so, you know, I reference my master’s project that I did, I used really census data and did what’s considered a longitudinal survey where I looked at the census in 1990, looked at the census in 2000 and the event that happened was in the middle 2005. So you could see what the potential impact is of a project. And so there’s data out there that’s already readily available. So, it’s what data above and beyond what’s readily available do we need, and these funds already are doing some level of reporting on their 8996 forms that talk about them complying with the 90% asset test. And so then it’s, I think data that is tied more to the community might be something that would be more beneficial than simply this is how we invested and this is how we complied with the 90% asset tests. Jimmy: Because I think at the end of the day that the data that’s important at least to, you know, the regulators in Washington is, is the program fulfilling its promise, which is basically that it’s going to lift some of these communities out of economic distress. So they want to measure, I think they want to measure at least, correct me if I’m wrong, they want to measure to ensure that it’s not displacing too many community residents. Because that would be, I think, a failure if all these Opportunity Zones end up just pushing out the community residents that they’re intending to help out. Jill: Well, and I think some of the ways that they go about not…and preventing that is in part the substantial improvement tests. So it’s very hard on the multifamily side to take an existing multifamily that’s leased and meet the substantial improvement tests, the property would have to be in complete disrepair because for every dollar of basis you need a dollar of improvement excluding the land. And so, but by virtue of that, there’ll be…it will be highly unlikely that a fund will come in and purchase an existing multifamily property and be able to just substantially renovate that existing multifamily property. That being said, a fund could come in, buy it and upzone it, and be able to, if you had the additional density. But those situations are the ones that, you know, that I don’t think meet the spirit of the legislation, which is, you know, buying and pushing people out. On the project that we’re working on, I jokingly say we’re gentrifying cars because we’re buying a parking lot and we’re displacing the cars that would have parked in the parking lot but the city and the university are very excited about our project because we’re bringing an investment to a very important part of a campus in Baltimore, and so they’re very excited about this in placement, and despite of the fact they’re losing a few dozen parking spots, but we’re putting parking in the building so it all works out. Jimmy: Yeah. Does that…that’s the student housing project in Baltimore? Jimmy: Good. Getting back to that IRS hearing that I mentioned back in February, you were one of the speakers that you testified in front of the IRS and you discussed, and correct me if I’m wrong here, but I know a couple of the points that you brought up were the short 180-day time period for investors that kind of presents a challenge of a tight turnaround specifically for your clients, the investors and family offices. You also touched upon original use of a vacant property. And I think the comment letter that you had submitted had a few more points. Did I get that right? And could you summarize your key points for my listeners? Jill: Yeah, exactly. So it was a really interesting hearing, and it was funny, I was talking to my family about how excited I was going and I don’t think they just couldn’t wrap their head…you’re excited about going to an IRS hearing, what? Jimmy: Why are you excited about speaking from the IRS? Yeah, I thought it was cool. Jill: It will. Thank you. And I did too. It was…but it was this, you know, full room, packed room and they had to turn people away. There was so much interest in the topic. Jimmy: And that usually…probably doesn’t usually happen at an IRS hearing. Jimmy: Where they turn people away. Jimmy: To buy them more time. Jimmy: To buy them until the end of the year. Jill: Yes. And so, secondly, you have the situation where we were…so while some people were able to transact, a lot of folks in the community were really waiting until the first round of guidance which didn’t happen until October 19th. So you had, what is about three quarters of the year that there wasn’t a lot of activity. And so if you as an individual had your game, you know, really January through June or July, you were at a disadvantage because your tax advisors and your attorneys were giving you advice that was pretty much, you know, you need to wait, we need to see more information about this. And so that…really 2018 was a year spent getting up to speed. So all that being said, my comment was, “Let’s treat, at least for 2018, let’s treat individuals the same as partnerships and allow them to start the on the same day, which is the end of 2018.” And so in that way, somebody who could have had a gain in April as an individual would now have a chance to utilize this incentive. And so there’s many more transactions that are happening. So that was one of the points. Jimmy: And that makes sense because they didn’t know what the rules of the game they were playing were really at that point. And we still don’t know the final rules, but at least we were a little bit further along. Jill: Exactly. And that was actually a comment that the IRS, the folks that were running the hearing, they were very interested in several follow-up questions about that. And then the other…one other comment you mentioned was original use. And so that’s…really, we’re waiting on guidance on what is the definition of original use. And there seems to be from the industry, a lot of coalescing around the idea that you could have an existing building and to the extent the building…and so an existing building is not an original use, but if a building has been vacant for X number of years, that building should be considered originally used. And so what I and others have advocated for is that should fall somewhere between one to two years. And we can all think of places in communities where you have vacant buildings and you just cannot substantially improve the building because the rents just don’t support it. But that building’s vacant. And so if there was just a lower threshold to getting that building up and leased, I think you could attract businesses and others to operate in and lease that building. So that was another point. And I would just say one other point, larger point that I made had to do with what is considered a permitted exception. So that is a category which is, if you fall out of compliance with the 90% asset test but you have a good reason, that should be allowed. And so the legislation allows for that and they had this provision, permitted exception, but it’s just very general. Jimmy: And how is it defined then? Jill: Yeah. And so that’s what…you know, nobody wants to go first, you know, testing your…I have a good reason, but, you know, I’d rather you Jimmy go first. You know, and then I let you test and then I refine my response. But what I advocated for was this concept of…similar to writ law, which is, to the extent I become out of compliance as a writ, allow me the opportunity to use best business practices to put myself back in to compliance, so this kind of cure period concept, and don’t put a penalty or hit me with a penalty. And so that was something that I was advocating for, which is to the extent I become out of compliance with my 90% asset test, allow me first to get back into compliance before I’m really hit with a penalty. And so, it’s this idea of using really best business practices or, you know, some sort of standard in order to put yourself back into compliance. Jill: Yeah. And you can all think about just things that come up. You know, in D.C. we’ve had cases where certain things are…somebody appeals and before you are able to pull the building permit somebody may appeal your entitlement that you receive, there’s certain things that come up. Jimmy: And that pushes you out of 180 day requirement potentially. Jill: So you wouldn’t be able to meet this 90% asset test. Jimmy: Good. And so, your…the letter that you had written to the IRS prior to your testimony, was co-signed by a working group. Can you tell me who the working group is? Jill: Yeah. So I’m working with several accountants at Baker Tilly, so appreciate their insight. And then I’m working with several law firms. And so one of the law firms is Nixon Peabody, so Forrest Milder was fantastic. And so he’s also signed on. So, yes, both Baker Tilly, Nixon Peabody, and then there’s been some others behind the scene helping out as well. Jimmy: Good. So, and how were your discussion points received by the IRS? What was the feel in the room while you were giving them? Did it fall on deaf ears or were they receptive? I guess you mentioned earlier you had some follow-up questions regarding the 180-day rule in regards to, you know, partnerships versus individuals. Jill: Yeah. So they were very interested in just how the evolution of the industry from pre-first set of regs, then post set of regs and then they were just interested in that point. And then they also asked questions about, do you think…you know, along the lines of do you think more capital would come in, would investors be interested, would this help with the timing and the 180 days? And so we talked a little bit further about that. And part of my comment is timing will always be a challenge with this incentive. And I think being able to, I will say, begin with the end in mind, so being able to know where you want to end up helps you be able to plan what you need to do to get there. And so I think just getting more…if we’re able to get this, I won’t even say fixed, but if you were able to allow this provision, you would have more capital coming in as an individual, and then these individuals could figure out how they could either go into a fund or create their own fund. Jimmy: It seems to me just from everything I’ve read and what I’m hearing is that the regulators want this program to succeed. I don’t think they want people to take advantage of it. So they don’t want the rules to be too lax, obviously, but they seem to be open to hearing a lot of feedback and incorporating that into the next tranche of guidelines. I know they received a lot of feedback. I think they got over 150 or so comment letters. And how many speakers were there at the testimony, 20-something? Jimmy: And that’s why he created the White House counsel. Jill: Exactly. And so it’s bringing in, you know, what does HUD need to do? What does the Ag Department or other departments need to do, because a lot of the commentary has been around housing, but this really isn’t…or about urban development. And so this isn’t intended to be an urban development incentive. It’s really intended to attract capital to areas both urban, ex-urban, and rural. Jimmy: And what do you expect out of that second tranche of regulations? They’re going to come out any day now, I think even possibly about the time this podcast airs, they will be out. We’re recording this on the afternoon of April 3rd and it’s been a couple or three weeks, I think since the regulations were submitted to the White House for approval. With that said, what do you expect out of that second tranche? Jill: Yeah, so really they could come any…what I’ve heard is any time from now until maybe the end of April. And so what I think there’s going to be several topics covered, the first of which is definition of an active trader business. So, defining in order for your partnership corporation to be able to know whether you’re meeting the test to be qualified Opportunity Zone business. And quite frankly, Jimmy, you and I could probably sit here for the next five minutes and, you know, do something that’s logical, like, oh yeah, you know, active trader business should be this, this and this. But it’s just really important that the four corners of this incentive are creators who people really know whether they’re inside or outside the box. So that’s one. The second is on the issue of the gross income test, so 50% of the gross income being generated in the zone. And so as your listeners probably recall, there was not a geographic requirement in the legislation, in the first set of regulations, the words “In the zone” were added to this provision. And this provision is whether a project or business qualifies as a qualified Opportunity Zone business. So adding the word “In the zone,” many of us would then go to think, well, this really incentive on the operating business side is only going to apply to say restaurants or real estate. And I don’t think that was the policy intent, I don’t think that’s really where the regulators are going to go. So, I’m hopeful that this will be interpreted in a way that tries to prevent bad actors where somebody sets up a 500 square foot office in the zone but their real offices are in midtown Manhattan. But on the other hand, having that technology company that has employees officing out of the zone and they sell maybe overseas, you know, to me that’s really attracting jobs to an area, you know, and that’s terrific. So I’m hopeful that we’ll meet…be able to meet that standard. Jimmy: At the end of the day the rule needs to be crafted such that it allows businesses that are doing the right thing, creating jobs in the community, in the Opportunity Zones that they’re located in. Jimmy: So, however they can get to that? I’m hopeful they’ll do it. Jill: Yeah. And you know, the regulators, they cannot write the legislation and so they’re limited in what they can do. And if something needs to be legislated, it has to come from the other branch. And so, but I’m optimistic that they can interpret it and be able to define it in a way that’s more workable than really just for real estate or really local operating businesses. A couple other things that I think might be addressed is an idea of interim gains. So what happens if a fund starts to have capital events or sell off assets, or these kinds of interim gains before the fund is sold and debt financed distributions. So you’ve built your building with a construction loan, you refinanced, you had the ability to distribute debt proceeds. So, first of all, can you do it? And second of all, what’s the tax treatment of that? So that’s something a lot of investors are particularly interested in because when you think about these long term holds, and if you’re in a GP/LP structure, then odds are your promote is based on an IRR calculation. And so being able to distribute proceeds early really helps the IRR. And not to mention, you know, people would like some capital upon really hitting some milestones. Other comments around unimproved land, so there’s just some technical things about being able to improve land, and then treatment of carried interest, which, you know, I’m not sure how that will win, but we’ll say I’m not entirely optimistic. Jimmy: Yeah. Oh, yeah. Well, optimistic about some things but maybe not about others. Jimmy: Yeah. It’ll be interesting to see when they come out. So, yeah, those are some good points for us to think about when the next set comes out. Some good points to look for. You mentioned several minutes ago that you have a passion for community development. So I want to talk to you a little bit about that and ask you what has the Opportunity Zone policy done so far for community development, for redeveloping emerging communities or, you know, it’s early days, so what do you expect out of the policy in the coming years? Jill: Yeah, so what I’m really interested in is there used to be really silos of impact investing and then market rate investing, and everybody stayed in their silos. And I think what is fantastic now is really to me, opportunities in investing is impact investing. And this is an incentive that really seeks to attract capital to these areas. And I think there’s been some very creative structuring done in order to, couple LIHTC, and I know people are working on coupling new market tax credits in order to bring this capital to projects that have a capital gap. So meaning a building may cost 50 million to build and if you lease it up and you value the building on a cap rate, it might be worth 40 million. And so you have a $10 million capital gap. And so that’s where you need some type of public assistance, whether it’s through LIHTC, new market tax credits or some other tax credit type. But then there’s ways to also bring in the Opportunity Zone capital as well should you need equity as well. And so I think these types of layering and structuring to really help a lot of these projects in the lower income communities go, I think to me is really, really exciting. So I think there’s an opportunity to have more projects that may have taken longer to move forward, to have those projects move forward. And I think there’s…since there’s so much attention to this incentive, there’s a lot of community stakeholders that have become much more engaged in the process. And I think that’s exciting, people getting very passionate and starting to participate in the communities, you know, in a very significant level. Jimmy: Yes, kind of, I guess the OZ programs brought a spotlight to impact investing in a way and it’s encouraged more participants to stick their toe in the water a little bit more. Maybe those who have only done market investing in the past and maybe they’re doing a little more impact investing these days with the Opportunity Zones program, and helping to fill that funding gap or the capital gap on some of these projects. Jill: Yeah. And I think it’s…you know, it’s important to recognize that these, you know…since you have investors that are selling appreciating assets, they need to have an appropriate risk adjusted return in order for them to harvest their gains and to go into a fund. But I think given the tax benefits, you have the ability for them to invest in projects that may not underwrite to the highest market return. 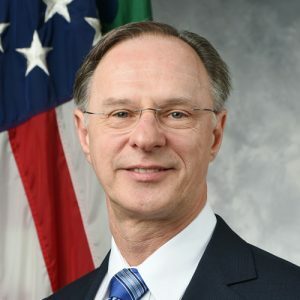 So that’s first of all, but then the interesting kind of twinning of different tax incentives or even utilizing…there’s been a number of other states who’ve said, “We have all these other economic development tools and we’re now going to focus in on Opportunity Zones and layer in.” So there’s ways to then invest in projects that may have had a difficulty getting started by using other economic development tools in addition to Opportunity Zone investments. Jimmy: Yeah, they can stack or twin other incentives as well. Jill: I’ve heard the technical term, mush as well. Jimmy: Mush, I haven’t heard that before. I had a guest on the podcast a couple months ago who spoke about twinning historic tax credits and other opportunities. That was an interesting case as well. So, the Opportunity Zones policy, we’re in the early days here and we’ve had some people move into the market before the regulations are final, just because they have to in a way for a couple reasons. One, because they want to get in on the ground floor, and two, because that 180-day clock starts ticking pretty quickly. But I would imagine you’ve seen some mistakes being made because people are rushing in. Could you share with me some of the biggest misconceptions of the program and biggest mistakes that you’ve seen being made in these early days? Jill: Well, I would say my…I would really talk about the misconceptions because I could…you know, while I may think something is structurally done as a mistake, I won’t be proven right until 10 years from now. Jimmy: That may be true. Jimmy: The 2010 census tracts, the actual geographies on the map. But the data is from five years, 2011 to 2015. I think there’s some that are 2012 to 2016 in some cases, but the vast majority were defined using the 2011 to 2015. Jimmy: That’s an interesting point. This data is not nine years old. Jimmy: It’s only, you know, a few years old. Jill: Yeah. And not to mention, look, you know, the governors who designated their zones, were working with their state legislators and, you know, and folks who were involved on designating the zone had…you know, they’re the boots on the ground. And so, I think there was…again, the data was the freshest that they had. The people involved were knowledgeable about these areas, but oftentimes when I talk to the heads of the economic development agencies, or the governors themselves, there was a desire to provide different kinds of…or different types of census tracts as their zone. Jimmy: And a lot of them are. But there are a lot who are playing already, who have more plain vanilla deals maybe and aren’t waiting for the final regs. Jill: Well, kind of two things. Number one is there’s never going to be final regs. So there’s going to be regulations that are issued, you know, all the way up through 2026 and maybe even afterwards, because this will continue to be refined as more information is needed. 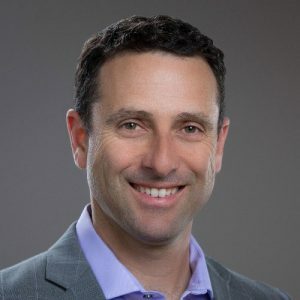 And so I really think the investors who are saying that are investors who need to read more about deals being done before they get comfortable, but I firmly believe with this next set of regulations, there’s really going to be enough information in the market place for investors to be able to act. Treasury and the IRS are never going to give us a recipe for how to invest with an Opportunity Zone. And it’s just because of all the different fact patterns that everybody has. It’s just impossible to do. So, whenever I speak on panels or talk with folks, you know, such as yourselves and members of the media is to just talk about that deals are being done, investors are allocating capital, investors who have significant amounts of gains are allocating capital. There’s lots of investment banks. Investment banks are looking at putting more funds on their platform or they’re in the process of launching funds on their platform. And when these regulations come out, I’m optimistic that more traditional high net worth investors will have the ability to also use this incentive as well. Jimmy: Yeah, I hope you’re right. And you’re absolutely right. Deals are being done. Funds are raising capital. Investors are starting to plow their capital gains into these Opportunity Zones, absolutely. There are some that are waiting on the side, like I mentioned, but, yeah, no, this program is off and running as we speak. Jill: Yeah. And I find just on that point, I find the investors who say, “I’m waiting on the regs.” They can’t really articulate what they’re waiting for. Because I say, well, you know, what are you waiting on this? You know, are you waiting on the debt finance distribution? Are you waiting on…you know, what are you waiting on? Let’s talk about that. And it’s just, they just think that there’s a point in time when it becomes final. And so I think if they’re able to articulate what they’re waiting on then that’s great, because then we can really hone in on it and focus on it and be able to answer that question. Or, be able to tell them, “Look, we will never know that answer, so we’ll have to assign some level of risk to it and decide whether you’re comfortable moving forward.” But a lot of the investors I talk about who’s saying I’m waiting on it, it’s just, they’re really waiting to get comfortable. Jimmy: Yeah, clarifications. It won’t be like, you know, 50 or 80 page long. I don’t know how long the last one was. I think it was 70 pages or so. Jill: Yeah. I think this one’s going to be a book. Jimmy: It might be. It might be. Jimmy: So, we’ll have a book coming in the next few weeks and then we’ll have another book toward the end of the year. But that’ll be it in terms of books. Because then, the further clarifications that’ll happen down the road, will be just little clarifications not 80 page. Jill: Well, there’s just going to be so much activity, I expect starting this summer. Jimmy: Good. Yeah. Well, you’ll be popular yourself, Jill. Jimmy: Yeah, absolutely. Oh, I want to talk to, about your position on the board of the Opportunity Zone Association of America. First of all, tell me about your role there and also tell me what is that organization, what do they do? Jill: So the Opportunity Zone Association of America, ozaa.org, they’re a new trade association that’s formed around the Opportunity Zone industry. And so really what we try to do is strike a balance between including attorneys…sorry, attorneys, accountants, fund managers, and also deal sponsors and those in the impact space and really try to represent the whole ecosystem in this industry. And so I joined the board, it’s being chaired by a gentleman named Kyle Walker, who actually has a new technology company in Opportunity Zones. Jimmy: AltX I think. Is that right? Jimmy: I met him a few weeks. Jimmy: Yeah, I met him a few weeks ago at a conference in Los Angeles. Jill: Yeah. And so they…so the OZAA, we have an executive director, we have initial founding sponsors, and we’re just starting to open up to membership. And so, if your listeners are interested, they can go either email me or go to the website or just email [email protected] And so, again, what we’re seeking to do is really try to share information about this new industry as well as provide the feedback loop to the policymakers and the regulators about what the industry is…you know, what’s happening in the industry. So it’s really a significant educational component as well as, I would say, you know, an advocacy, educational component with the stakeholders. Jimmy: So a lot of what you’re doing through Javelin 19 as well and in a way doing the advocacy work that you’re doing there as well. You tell me a little bit more about Javelin 19 before we end our conversation here. I think you touched a little bit at the top of the conversation who your clients are and what you’re doing for them. But how are you advising investors? How are you advising family offices in these early days? What are you telling them exactly? Jimmy: Make sure they’re following all the rules, right? Jill: Correct. Yeah. But what they’re kind of along the way is being able to make sure that they know what’s happening on the regulatory front, what’s happening with this incentive, and which deals would fit, which wouldn’t. And then once we get to the execution, helping them execute their investments. And then, you know, I’m in conversations now about whether they want some ongoing asset management. That’s something that I can help them with or not whatever would fit with their business plan. Jimmy: Good. So, a little bit of everything almost, really, yeah. Jimmy: You have expertise in a lot of areas. Jill: Yeah. So it’s really the acquisitions, you know, finding investment opportunities that fit an investor profile and executing it and being responsible for it. So there’s a lot in my career, which is eating what you kill. And so it’s, you know, nowhere to hide. You have to live with the investments that you make. Jimmy: Absolutely. That brings me to my next question. I want to get from you. I ask this of all of my guests toward the end of the conversation. What’s the most memorable investment that you’ve been involved with over the course of your career? Is there anything in particular that stands out? Jill: Yeah, so it would have to be an early investment that we did with Javelin 19, which was a four acre assemblage in downtown Durham. And the reason it was memorable is while I was in Grad School, I had identified the site as just, you know, such an interesting site because it’s one of the largest sites you could assemble in closest proximity to Downtown but in between Duke and Downtown Durham. The site was actually the source of a lot of flight. And so it was, I would say, highly targeted for redevelopment. And then it was through my involvement, I was very involved in Duke University’s arm in the community, so their community development arm. And so it was through that involvement that I was able to develop a rapport with the owner of the site. And then ultimately…so that, you know, that that kind of started in 2004. And then ultimately was able to purchase the site from the owner. And that was in like 2011. And then brought in a partner as my 90% partner. And then we did a joint venture to develop 340 apartments. And so to me it was very, very memorable because it was impacting a community that I cared about and spent so much time in the community. And then it was just so well received because we were taking a blighted hotel as well as to automobile uses, auto repair shops and turning it into 340-unit apartment building and kind of fill a missing tooth in the development towards Downtown Durham. Jimmy: That’s great. And many years in the making it sounds like too. Jill: Yeah. So I’m hopefully, you know, after that project, I said, I hope it doesn’t take me 10 years to do every project, so. Jimmy: Well, before we go, could you tell my listeners where they can go to learn more about you and Javelin 19? Jill: Great. So the website’s javelin19.com. So that’s javelin, J-A-V-E-L-I-N, the number 1, the number 9 dot com. I’m very active on Twitter and LinkedIn. So my handle’s @jillhoman, J-I-L-L H-O-M-A-N and also on LinkedIn just look for Jill Homan as well. So thank you so much for having me. This was fun. Jimmy: Excellent. Well, yeah, thanks. Thanks for coming on. And for my listeners I’ll have the show notes page for this episode on the Opportunity Zones database website. You can find those show notes at opportunitydb.com/podcast and you’ll find links to all the resources that Jill and I discussed on today’s show there. And I’ll have links to her LinkedIn account and her Twitter account and to javelin19.com as well. Jill, thank you so much for taking some time today. I appreciate it. Jill: Yeah. Thanks for having me, excited to join you at the conference today. Jimmy: Absolutely. Yeah, it should be a good one. Thank you.